Participants were shown identical labels with only the name changed. That was often enough to sway opinions. If the concept of craft beer was to be anthropomorphized into a person, it would probably be a guy with a beard. Yes, this is a stereotype, but it’s one based on experience: Even when Conan O’Brien visited the Samuel Adams brewery in Boston, he couldn’t help but comment on how many bearded guys he saw. Of course, it’s one thing to make the observation that more men work in craft breweries than women do. It’s another thing entirely to jump to the assumption that a man can inherently make a beer better than a woman can. And yet, according to a recent study from Stanford University, many people tend to make that logical leap whether they realize it or not. 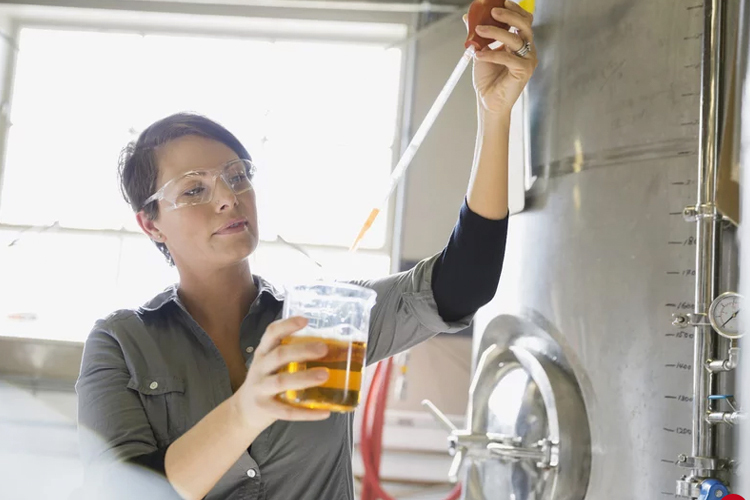 In their paper “Gender Inequality in Product Markets: When and How Status Beliefs Transfer to Products,” a team of Stanford researchers ended up honing in on craft beer as a product with potentially high gender bias. They got there after surveying 150 people about the perceived gender of hundreds of products. Craft beer was rated as particularly masculine, and for their study, the researchers compared it to a product that was seen as equally feminine: cupcakes.